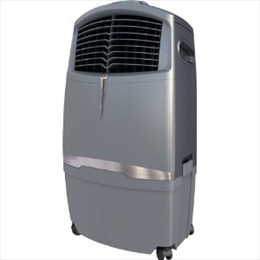 Portable AC is a high demanded appliance in the house as wellas commercial spaces. The demand is mainly on account of their mobility. They can be moved from room to room wherever cooling is required. These are very useful in poky spaces which do not have doors or windows. They are easy to install. 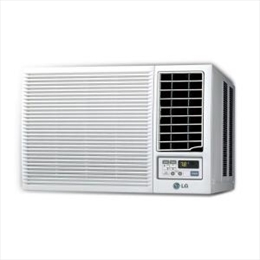 Let us take a look at both sides of portable air conditioners, the pros first. •	Unlike traditional air conditioners such as window or central A/cs, portable air conditioners can be moved from room to room. This can be done with the wheels on which they are mounted. Being mobile, it can be used in a home office during the day and moved to the bedroom at night. They are specially designed for server rooms in offices. Server rooms are present in offices of all shapes and sizes. These rooms are generally small and are present in the interior part of the buildings. They usually do not have windows. A portable Ac is best fitted as the exhaust can be vented out through a small hole made in the wall which goes to the exterior of the building or to an adjacent room that has a vent for sending out the exhaust. If you have paneled ceiling then the hot air can go though it as well. On weekends when the office is shut, you don’t need to keep you central A/c on to keep server room cool. You can just keep the standalone portable cooler functional to cool the room. This will cut down you operational cost significantly. •	Portable ACs is easy to install. No other cooling device is easier to install then these units. These standalone units stand on the floor. All you have to do is make vent for the exhaust to go out. There are window kits available for this purpose. They come with the gadget. You just have to fit them in your window. The special types of windows require a little more adjustments. •	These are quite cost-effective compared to window ACs. These A/cs are good buy for rental houses as you can easily port them at the end of your tenancy. •	These are very noisy units. This is because all the parts of the unit are present in the single cabinet which is kept inside the room. In split and ducted air conditioner nosier parts are present outside the house. Even in windows A/cs the noisy parts protrude outside the house. The noise coming out of the unit diffuses in the surrounding. •	Dehumidification is one of the functions of an air conditioner. It draws moisture from the air to make the room air comfortably cool. The moisture that it draws accumulates as water somewhere in the AC. The water can be drained through the hose which will take it out through a window. Sometimes the condensate accumulates in a pan that is emptied in bucket and thrown out manually. •	Sometimes you may want to keep the unit close to your bed. But you cannot do it unless you have an appropriate power outlet near your bed. Again if you are going to connect it to a hose that will vent the condensate outside the house you will need to keep it close to a window. These two aspects pose restrictions in terms of placing the unit. •	Portable A/cs are also considered less efficient than conventional ones as the room air once sucked in by the unit is completely exhausted out. This air is replaced by the warm and humid air that needs to be cooled again from scratch to be supplied in the room. In conventional units the used room air is again cooled and supplied to the room(s). This takes lesser effort and makes the unit more efficient.